As many of you may know, I enjoy roaming through antique malls and browsing flea markets for interesting finds. When I do, I often find old photos, family bibles and other family heirlooms included in the wares displayed for sale. This always makes me sad. Unfortunately, it happens all too often. A person passes away and relatives are left to decide what to do with their personal belongings. A lifetime’s worth of treasured photos and other memorabilia now in the hands of strangers. And I am not the only person who feels that way. Today I ran across a website that seeks to connect family treasures with the families who once owned them. Goodwill Genealogists searches for family photos, bibles, genealogies and other artifacts and purchases them. Once the items are acquired, Goodwill Genealogists carefully digitizes them and uploads them to their website where anyone can find them. If you find a family treasure, you can copy the information from their site. Sometimes, the original item may be available for purchase and so can be “reunited” with the family who originally owned the item. Naturally, this effort involves a cost. Goodwill Genealogists encourage people who use the site and find it useful to make a donation to continue to fund their efforts. I know I will be checking the site regularly to see if any family treasures appear in its pages. If you do find something and want to talk with them about acquiring the original artifacts, email them at info@goodwillgenealogists.com. 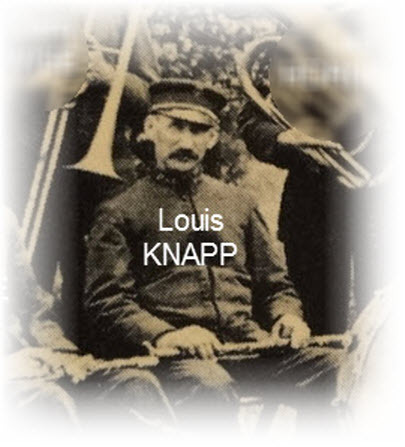 This entry was posted in Best genealogy websites, Family History, Genealogy News, Knapp, St. Joseph Band and tagged family history, Knapp, preservation. Bookmark the permalink. I have written about this myself. I just do not understand how these items can be left behind.